by throwing simultaneously two stones into still water, and a number of interesting variations may be obtained by varying the size of the stones and their distance apart. 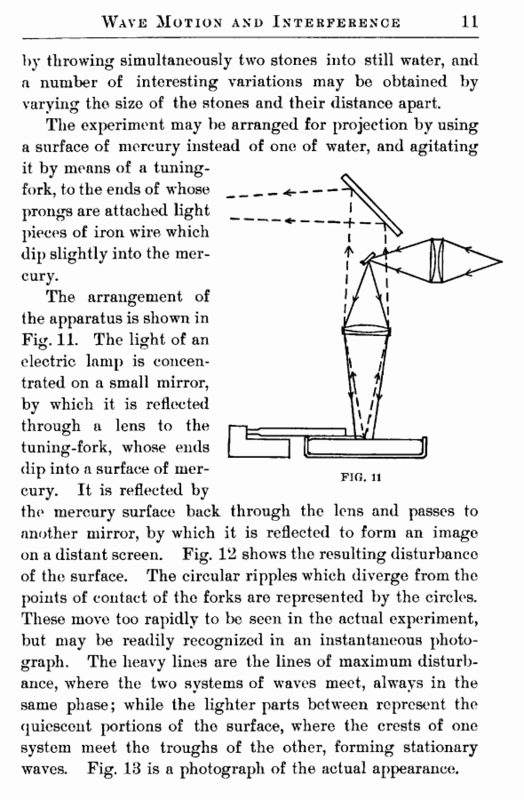 The experiment may be arranged for projection by using a surface of mercury instead of one of water, and agitating it by means of a tuning-fork, to the ends of whose prongs are attached light pieces of iron wire which dip slightly into the mercury. the mercury surface back through the lens and passes to another mirror, by which it is reflected to form an image on a distant screen. Fig. 12 shows the resulting disturbance of the surface. The circular ripples which diverge from the points of contact of the forks are represented by the circles. These move too rapidly to be seen in the actual experiment, but may be readily recognized in an instantaneous photograph. 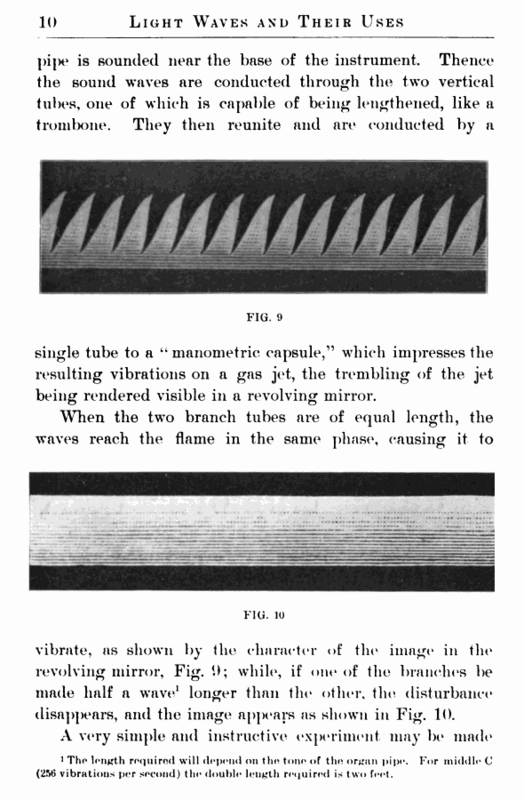 The heavy lines are the lines of maximum disturbance, where the two systems of waves meet, always in the same phase; while the lighter parts between represent the quiescent portions of the surface, where the crests of one system meet the troughs of the other, forming stationary waves. Fig. 13 is a photograph of the actual appearance.